…..there’s not necessarily anything wrong with being average. 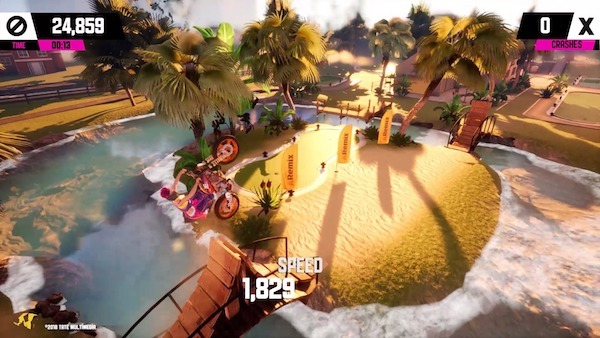 ate Multimedia have been pushing the Urban Trial series for a number of years now, often being an also-ran to the hugely popular Trials series from Red Lynx. Can this new iteration on the Nintendo Switch provide something special? 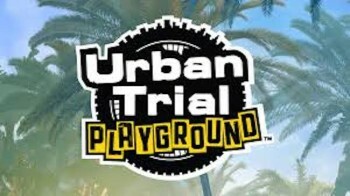 The Urban Trial series first appeared back on the PS3 and PS Vita in Feb 2013. 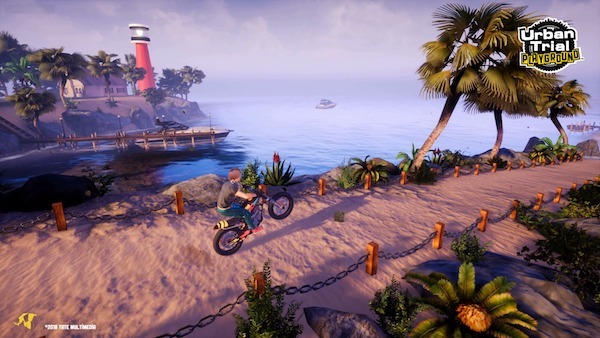 Praised for offering a viable alternative to Trials on the Sony platform that was so long denied it the game suffered from that gameplay edge and refinement to the physics that set Red Lynx’s Trials series apart. Following up from last years Urban Trial Freestyle 2 on 3DS, this is the first game of this type to come to Nintendo’s latest console, offering a similar repeat of history when Urban Trial Freestyle was the only alternative on the Sony platform. Offering a similar game to those that came before Urban Trial Playground see’s you take the guise of a motocross rider hurtling through course after course in a bid to reach the goals as quickly, with the best score, possible. Each trial is split in to two types over changing but very familiar levels. The first level type has you racing as fast as the clock for the cleanest run possible. The other has you taking on the levels in a score attack style, trying to nail your best moves and keep that multiplier high (usually achieved by chaining moves together with wheelies and endos). The problem is that neither feel all that satisfying to engage in or complete. The levels never really make you feel like you’re screaming through a course at top speed, nor do they give you enough tools to make performing and chaining tricks together intuitive or fun. 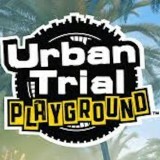 The nature of these games is rapid fail and retry and Urban Trial Playground gets that right. It’s mere moments from pressing that X button to reset your rider until you’re back in the seat trying another run. Yet the game never really feels like it flows… often leaving you fighting with the control choices as much as the obstacles in the game. There’s a huge amount of content to keep you busy in the game with the 50’ish levels hiding several collectables around them to give you reason the rerun old areas. A lack of online multiplayer seems a real shame but at least you can undertake runs against friends in the various split-screen two-player modes. The game looks OK on the Switch’s smaller screen but does seem a little stuttery and framey at times. Slipping your Switch in to the dock will give you a much crisper look and a smoother frame rate, yet the game never really impresses in the looks department. The ragdoll of the biker is also serviceable yet lacks the bone crunching heft of the Trials series. Urban Trial Playground still lacks that precision and polish to take it into the same league as the Trials series (or good old Kickstart!). What it does offer is a reasonable challenge over some reasonable levels for a reasonable price… it’s all very reasonable. With no competition on the platform Urban Trial Playground offers the best choice for Nintendo fans wanting to capture that trial bike antics on their shiny new Switch. It does very little to push itself forward or to make itself anything more than a serviceable game – but there’s not necessarily anything wrong with being average.